I am embracing the life force found in the waves and eternal youth. So beautiful! Bewitched by your words, Maniparna! The sea is hypnotising as are your words, I love your words, especially how you meld rarely used words with words of simple beauty. Sea has its charms 🙂 ❤ Thank you for a lovely poem! As usual, captured the mood of the ocean so beautifully. 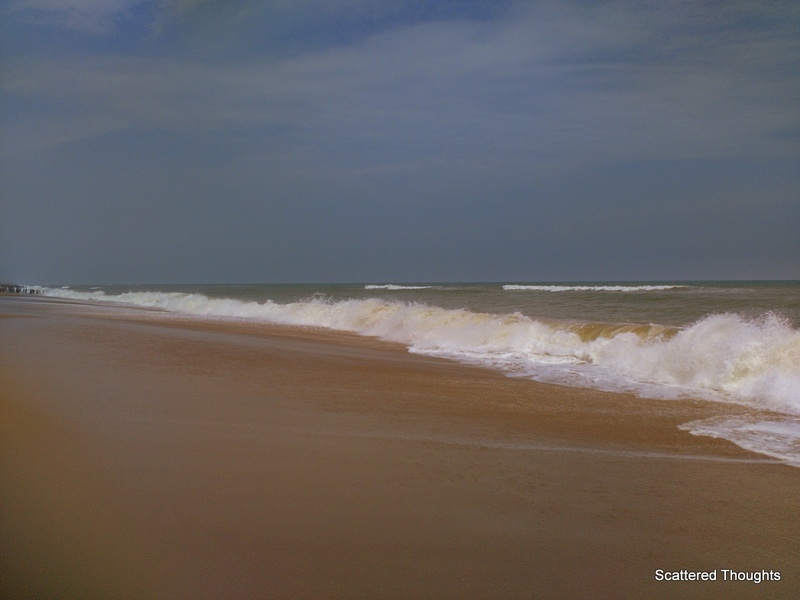 Beautiful Maniparna , the waves of the sea have an intense emotion associated with them. The froth, as though it washes away all the sins.. Brilliant! I am a beach person totally. I can stare at the waves endlessly. This picture reminds me of Puri/Deegha?Mandarmani. beautiful poem. Your words as usual, made me use Google. 😛 Well done! I love the way she sends messages of stormy calmness with every wave that rolls toward us! Yes! eternal beauty till it chooses to get enraged! Loved the personification. Deadly lines, Maniparna. That’s so nice to know. 🙂 My l/t has got locked out since yesterday evening. Not able to log in…a strange problem.